The Nikon D750 has arrived! It started shipping on September 23, 2014. Those who pre-ordered are now starting to receive their cameras. 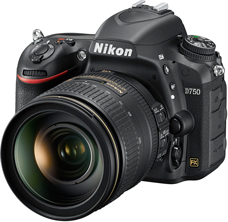 Several retailers have some left in stock, to get yours now see the D750 ordering information page. For now the body only is in stock. Kits with lens are still on pre-order, but are expected soon. The kit price is the same as the retail price on the camera and lens separately, so you can order the body only and add the same lens for the same cost. There is no other benefit to ordering the kit other than a different box! Expect more of these videos to come as others enjoy discovering their new camera.